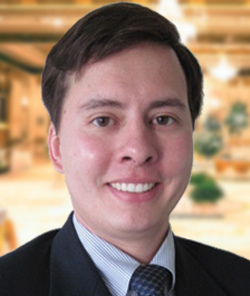 Justin Jee is an executive with Toll Brothers and also is a Brookwood shareholder and advisor. He was employed with Brookwood through June of 2014. He has more than 15 years of experience in the development field, focused in development, acquisitions, and project management, both principally and for private clients. Prior to joining Brookwood, he served in multiple roles for San Francisco based real estate development company, ARCON, Inc. While there he actively participated in all phases of the company’s projects throughout Northern California and Hawaii. Justin worked seasonally for Lyman Jee Architects and Associates, from 1996 thru 2000, drafting tenant improvement schematics and managing documents for two office buildings in San Francisco known as Hawthorne Plaza. Justin holds a Bachelor of Science in Environmental Economics and Policy from University of California, Berkeley, and is a member of the Urban Land Institute.